Elegance and Charm in Historic Brooklyn Heights! Unit 3J at 70 Clark Street is a renovated and generously scaled studio with hardwood floors, oversized windows, lovely neighborhood views and low maintenance fees ($521.92/month) . The home’s foyer entrance with gallery wall leads to a flexible studio layout with distinct sleep, living, dining and dressing areas. Excellent storage space (3 large closets and a dressing area) and charming built-in shelves ensure everything has its place in this superbly efficient layout. The updated windowed kitchen includes open shelves, vintage cabinets and stainless steel appliances. 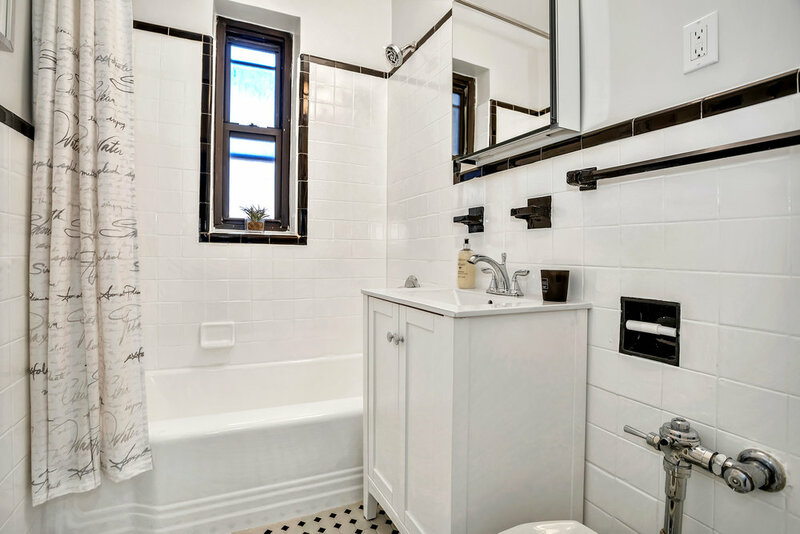 The windowed bathroom has been updated with vintage inspired black and white tiles and white fixtures. 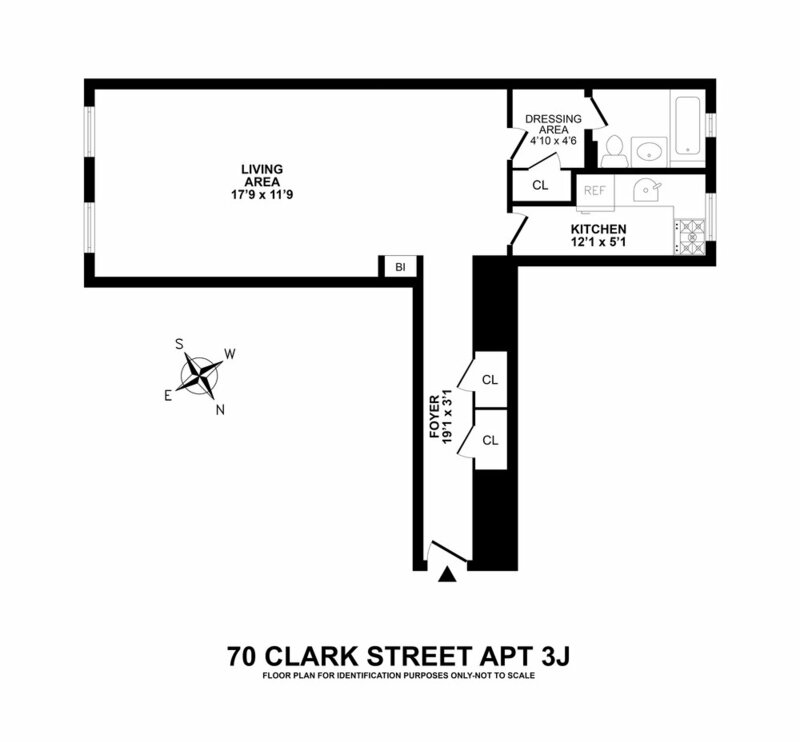 70 Clark is an elevator building with video intercom system, a lovely garden area, central laundry room and onsite management. In addition to the neighborhood’s iconic amenities (Brooklyn Heights Promenade, Brooklyn Bridge Park and Piers, tree lined streets, architectural beauty), this location provides superb shopping, dining, recreation and entertainment. Only one subway stop from Manhattan, Brooklyn Heights offers fantastic transportation options - the Clark Street 2/3 station and Citi Bike are both across the street and the A/C/F/R/4/5 subways and the Ferry are within blocks. Pets are permitted (dogs under 20 pounds). Pied-à-terres, co-purchasers and guarantors are considered on a case by case basis (gift funds are allowed). Sublets are permitted with board approval after 2 years of occupancy. "Noted for tree-lined blocks, the promenade and stellar views of Manhattan, the Brooklyn Heights Historic District celebrates community, architectural integrity and a relaxed lifestyle with easy access to downtown Manhattan."